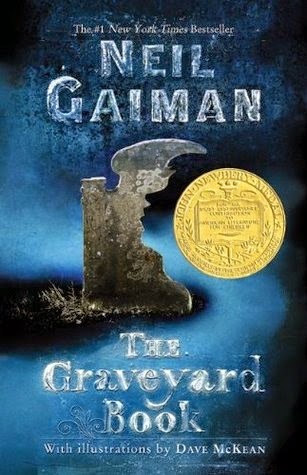 In The Graveyard Book, Volume 1, Neil Gaiman (graphic adaptation by P. Russell Craig, the wildly popular novel is turned into a surprisingly touching and captivating graphic novel. 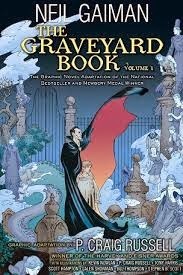 While not appropriate for young children, The Graveyard Book Graphic Novel will thrill and delight mature readers and make them eager for the next installment. The book opens with a murder. An intruder murders a couple and their young daughter. Realizing that there is also a toddler in the home, the criminal approaches his room to complete his annihilation of the family. He is too late, however. The toddler has escaped his crib and enters into a local graveyard. Once there, the spirit of his slain mother protects him. She asks the spirits of a couple buried in the graveyard, Owens and his wife, to guard her son. The murderer is sent away after an encounter with a mysterious man named Silas, who looks suspiciously like a vampire. What follows in The Graveyard Book, Volume 1 are tales of the toddler’s growing up. Named “Nobody”, the boy is able to wander freely through the graveyard without being disturbed. He is able to see at night and speak to the spirits of the dead. Some of his adventures include meeting a human girl who he befriends. She does not stay with Nobody (“Bod”) long, though. Bod is instructed by many of the graveyard’s inhabitants and by Silas, his confidant and overseer. One adventure has Bod meeting his new teacher, who serves him horrible food. Later, she comes to his rescue when he is outmatched by other things that go bump in the night. There is also a charming story of how the living and the dead interact on one special night of the year. Because of the subject matter, of course, many of the illustrations are dark, but they are well drawn and move the story along well. This is the first graphic novel I have read, and I admit that the drawings were very well done and added a great deal to my enjoyment of the story. 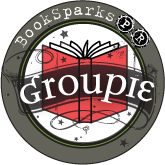 (I own the novel The Graveyard Book and the graphic novel convinced me to read it soon.) Bod’s adventures, while sometimes dark, also touch on the common human experiences of loss, family, and growing up. I could not be more delighted with this book, and I hope to read more volumes in the series. It deserves the awards it has already won and is sure to continue to receive. his book is full of fun and is equal parts fantastically horrifying and supremely endearing. Fans of CORALINE (Read the book, by the way. The movie was cute but no match for the written version) will love this book.